Estonia is going to join the Euro zone on January 1. It means our national currency bills will soon turn into enormous stacks of waste paper. Of course, you can exchange them for euros and have the state officials determine what to do with the useless bank notes. They may decide to torch them. Either that, or you just keep them to yourself and use them to balance your furniture, for instance. Who knows, maybe one day we’re all going to … revert. And what a fortune it will be to accidentially move your kitchen table around then. On the other hand, what if they officially declare they torch the bills, but do not. 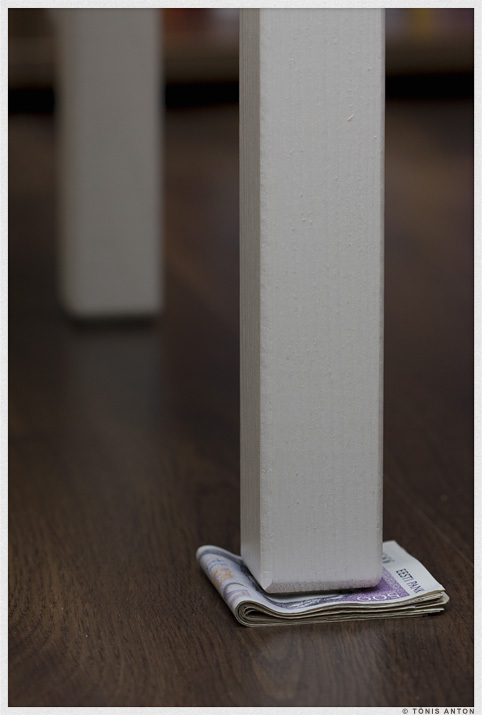 Instead, they might balance their own furniture at home and hope for the euro zone to collapse. Perhaps even see to that. And when the time is right, there’s going to be a lot of moving the furniture around in the house. You guys beat us to it. Unfortunately I would not hold my breath on reverting back! Whatever you can get for them now, is a good idea!